In this section Sarah writes about the Assembly. 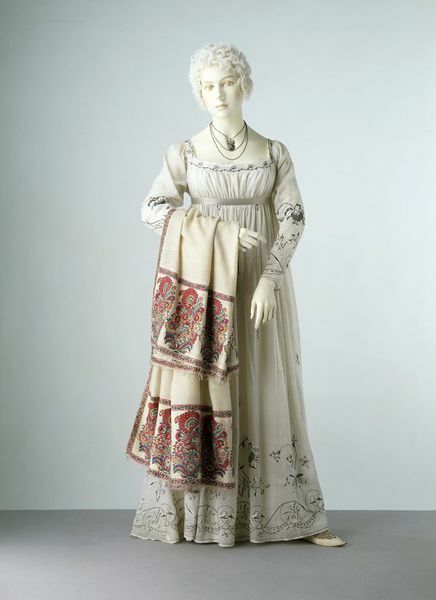 Based on her age, some of the descriptions might have told to her by her mother, as they seem evocative of the period from1790 to 1820. In the last paragraph, Sarah writes about the Whiddens a family of builders for at least 4 generations in the city of Portsmouth and their involvement in the festivities. An otherwise insignificant remark, it speaks to the historic connection between designers and builders to masques and thearticals. Sarah also makes reference to Dinah Gibson (1742(? )-1825) an enslaved woman owned by her grandmother "in the days of slavery." Through documented research we know that Dinah gained her freedom and continued to work for the Rice family. (Black History, pg. 105-6). Dinah's conversations about food provide an intimate reflection of a passing moment in time—"boil it for that long" or perhaps, "roast it then peel it, not the other way." These seemingly insignificant memories connect Sarah with her past and provide us with a greater sense, not just understanding, of the past. Sarah composed this passage when she was 65 and her combination of remembering the meek and mighty gives a sense of how individuals capture their own past—a fabric interwoven with the familiar and the fantastic. "The assemblies were held there from the days of the Revolution until Franklin Hall was built, about 1820. 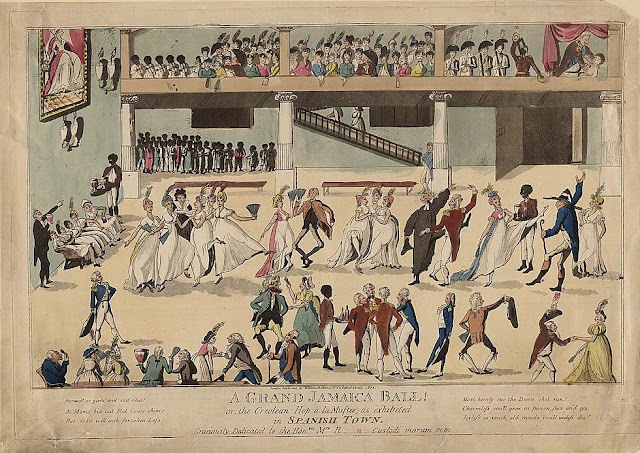 Portsmouth was noted for the elegance of its entertainments, but the "assemblies" were the chief glory of the place. Both Washington and Lafayette had an opportunity to witness the elegance and grace displayed on those occasions. They were very exclusive, — sustained by subscription. They had two managers, who, with powdered hair and chapeau under left arm, looked the impersonation of power and dignity. 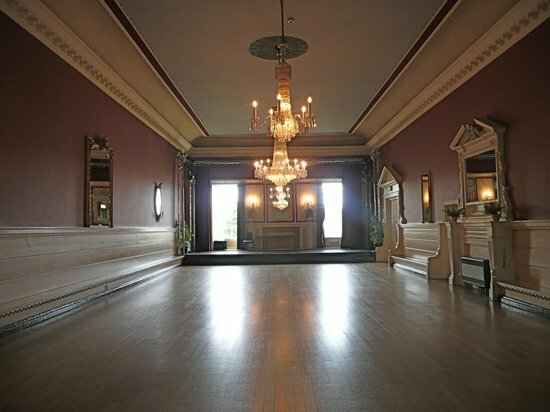 Each lady was taken into the ballroom by a manager, and seated. The ladies wore low-necked dresses of silks and satins and velvets, the hair dressed with three ostrich feathers a la Prince of Wales. 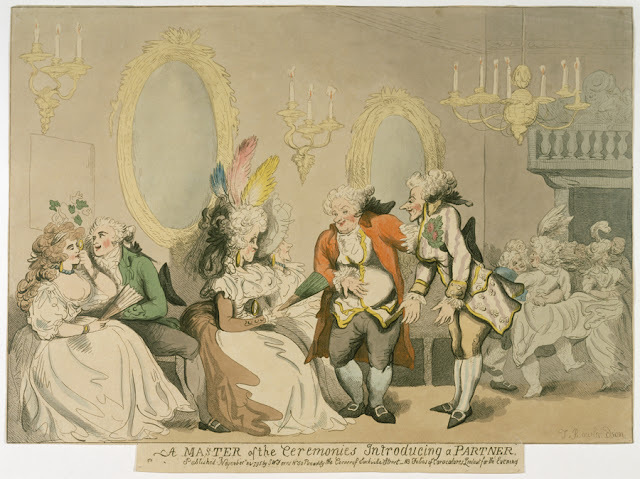 The gentlemen appeared in prescribed costume, which was blue coat with bright buttons, chapeau under arm, knee- breeches, silk stockings, pumps, and white kid gloves. 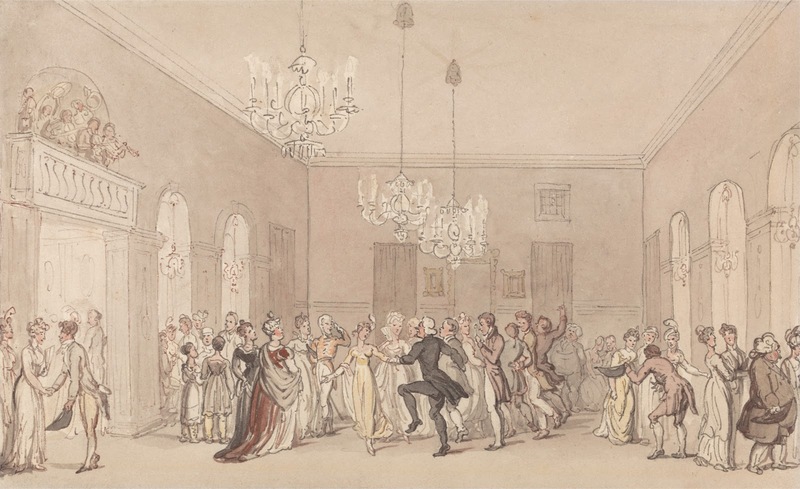 At the appointed moment the numbers were called for the draw dance, after that the cotillions, which were voluntary. A manager led the first dance with the eldest lady, or a bride, if one were present; and everything was conducted with great state. About ten o'clock, sandwiches of tongue and ham, with thin biscuit, were handed round on large waiters, in turn with sangaree, lemonade, and chocolate. There were eight assemblies, followed by a Washington ball given on the 22d of February. Any one who would pay five dollars could attend this ball, but the outside world did not care much about it. Court was sitting at this time, and the ballroom was thickly sprinkled with lawyers. At the Washington ball a great fruitcake was placed in a corner of the ballroom, which one of the managers cut. Portsmouth Book, Boston, Geo. H. Ellis, Printer, 272 Congress Street, 1899, pg48-49. Black Portsmouth: Three Centuries of African-American Heritage, Mark J. Samsons and Valerie Cunningham, UPNE, Hanover, 2004. The semi-social functions of the day are in the next post. While researching social dancing in Portsmouth, NH in the first half of the 18th century, I came across a reference to a personal remembrance of the 18th century Assembly House (circa 1770) by Sarah Parker Rice Goodwin (1805-1896). She was the wife Ichabod Goodwin, the governor of New Hampshire at the start of the Civil War. Her papers are held by Strawbery Banke Museum. As a prominent member of Portsmouth in her own right, her reflections are very interesting. I found her remembrances of the Assembly House were so interesting that I think they should be seen in their entirety. Some of the remembrances were probably handed down to her, but her birth is close enough to the period that the earliest reflections may be those of her grandmother, mother and perhaps her own youth. For the reader's ease I broke her essay into three sections without any other other structural alterations. These two images show the altered building turned on its original site. The Assembly House would have been parallel to the street and risen above the roof tops of its neighbors. "If the old Assembly House were still in being, what a treasury of art memories it would be in these days of centennial excitement and interest! The builder and owner of this interesting house was Mr. Michael Whidden, who must have been a real artist and a remarkable man. I can remember him distinctly as he appeared in his nineties. He was little and florid, and wore a white linen skull-cap, such as is worn by masons at their work. The house was of wood, large, long, and painted white. There were on the lower floor three great parlors, a kitchen, and an immense hall and staircase. This hall ran through the house and opened upon a garden, decorated by a summer-house, octagon in shape, of two stories, with large glass windows. How many bouquets of red clover- blossoms I have gathered in this garden, to my great delight! The assembly-room took the whole front of the second story, and was about sixty by thirty feet, with large windows and an orchestra over the entrance. Back of it were two dressing-rooms. There were three chandeliers for wax candles, and branches from the walls also for candles. In the assembly-room the cornices were beautifully carved, and in all the rooms the carving was richly gilded. 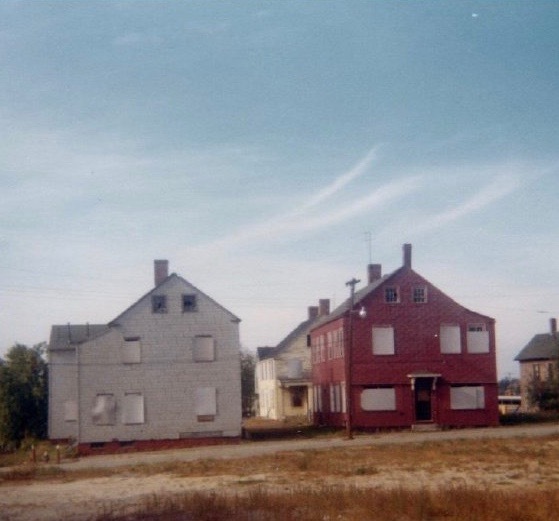 A very altered Portsmouth Assembly House lasted nearly 200 years. In 1838 the original building was cut in half and swung apart to create a street between the buildings. The second floor was lowered in height and altered beyond recognition. (Gurney, 46-47) The buildings were demolished in the early 1970s. 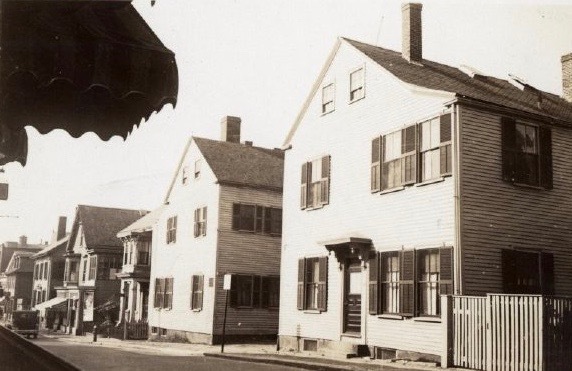 However, in the Austen Only blog there is a section on the Stamford Assembly rooms, which fits the footprint of the Portsmouth site, so image below will help give a sense of the Assembly House in Portsmouth, NH during the late 18th century into the early 19th century. An Inventory of the Historical Monuments in the Town of Stamford, Her Majesty's Stationery Office, London, 1977 provides a floor plan of the Stamford hall, and also an approximation of the Portsmouth Assembly performance floor. 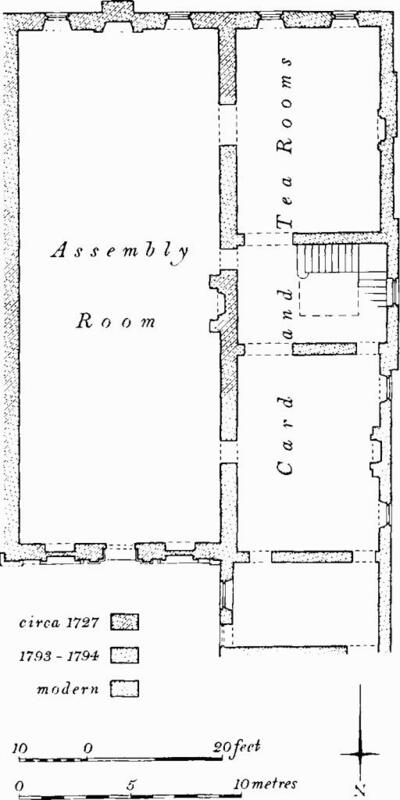 This floor plan also appear in the Austen blog, but I provide this link to the Monmument's text as a source for other historic architectural researchers. Portsmouth Book, Boston, Geo. H. Ellis, Printer, 272 Congress Street, 1899. pg 48-49. Portsmouth Historic and Picturesque, C.S. Gurney pub. 1902, reprinted in 1981 by Strawbery banke Museum, Peter Randall, publisher. The next part of the essay discusses the dances and clothing.